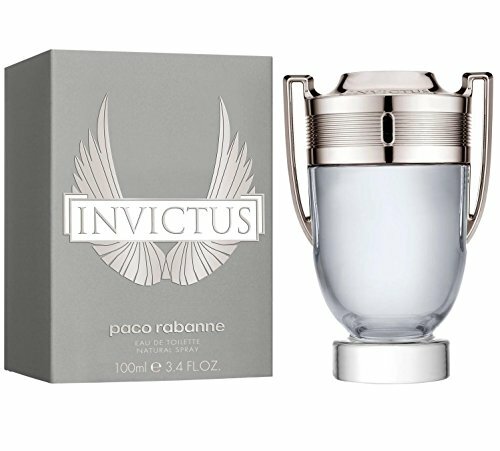 This article we’re going to look at my personal review of the Paco Rabanne Invictus mens cologne, which will feature what I like about it, where to buy it and also trying to answer some common questions that come up often when buying a new cologne. We’ll kick things off with some basic information. To elaborate a bit on the points I mentioned above, when I say unique smell I mean that I really haven’t come across any cologne or smell that I can compare it to. With some you can usually say hey this smells sort of like that cologne but with a hint of so & so. This hasn’t been the case for Paco Rabanne Invictus, at least for myself anyways as it belongs in its own unique category for its fragrance. How Long Does Paco Rabanne Invictus Cologne Last Scent Wise? I get a good 4-5 hours of its scent to last on me which is on the higher end compared to some colognes scent life. If you want it to last you all day at work, then I would recommend just leaving a bottle in your car to re-apply it around the time you go on lunch. I regularly do this, especially if I know I’m meeting with one of the good looking reps for or after lunch. Another thing to note here you do note need to spray more to get a longer scent, one or two is usually the max I would go with spraying this because it will become to strong past that in my opinion. Do Women Like Paco Rabanne Invictus Cologne On Men? I can without a doubt say that women really do enjoy this cologne. I get some of my female friends just hug me and refuse to let go because of how good they say it smells. Of course all women aren’t going to be that open about it but I can’t recall one negative comment about the smell of this cologne compared to numerous amount of positive comments. What Does Paco Rabanne Invictus Cologne Smell Like? It’s such a difficult task to try and describe the scent that a cologne puts off because colognes are usually pretty unique in their smells which making comparing them to something pretty difficult in my opinion. This however does not stop me from at least trying to explain what I think it smells like. There is a solid hint of citrus from it along with a sweeter, almost floral if you will type of scent to it. I realize after reading that, you would think it’s a women’s perfume that I’m describing but that’s where this cologne gets pretty unique. It has that sweet almost perfume type of scent but it still retains the undeniable this is for men type of smell to go a long with it. Paco Rabanne Invictus Cologne is one of the more popular mens colognes out currently which should make it easier to find than some of the lesser known brands. With that said there aren’t very many shops that carry a lengthy list of mens colognes compared to most stores that have a lot more variety for women’s perfumes. Just like all my other colognes, I buy mine off of amazon. This is for convenience reasons mostly but it is always priced well there to boot. If online shopping isn’t your thing then check out some stores like Sephora or possible just google it see what mens cologne stores come up around you. Other than that though you could probably find some other websites that sell it but I can’t comment on any because I’ve never used them.